5917 CALIFORNIA SW ‘EARLY OUTREACH’ TOMORROW: First, a reminder that the 5917 California SW project – 9 townhouses and 4 offstreet-parking spaces to replace the demolished Charmannn Apartments – has a drop-in community meeting tomorrow (Saturday) as part of the Early Design Outreach process. Just visit the community room at the High Point Library (3411 SW Raymond) between 2 and 3 pm. 5600 25TH SW: An application has been filed to replace the 84-year-old house on this Lowrise-1-zoned corner lot at 25th and Findlay with six townhouses and six offstreet-parking spaces. A comment period is now open through March 20th; this notice explains how. 7141 FAUNTLEROY SW: The five townhouses and five offstreet-parking spaces proposed for this lot adjacent to, and as part of, The Kenney (WSB sponsor) have received key city approvals. That opens an appeal period; this notice explains how. 2749 CALIFORNIA SW PROJECT UPDATE: A reader asked how much longer West Seattle’s only current tower crane would be up – the one at the Luna Apartments and PCC Community Markets (WSB sponsor) project site, 2749 California SW. A spokesperson for Madison Development Group tells us it’s expected to be taken down in May; the project is on track for completion in November. As first reported here last Thursday, the Southwest Seattle Historical Society is hoping to move and save the well-known stone-covered cottage at 1123 Harbor SW before its new owner redevelops the site. 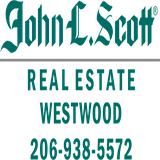 Our story noted that SWSHS president Kathy Blackwell and preservationist John Bennett planned to meet this week with the company that bought the site and two adjacent lots. We checked back with them today to see how that meeting this past Monday went and what’s next. Blackwell described the meeting as “very cordial and positive.” She and Bennett both note that the new owners want the site cleared relatively quickly – voicing concern, Blackwell said, “about the buildings being vandalized or occupied illegally.” She also said the SWSHS is “very grateful for the outpouring of support” that followed when this all came to public attention last week. So what’s next? “Now the real work begins in finding a place where it can be re-located to. And researching the best way to move it.” Bennett adds that the site owners are “totally on board to save the stone house, but as business people, they want a plan and timeline on paper.” Speaking of documentation, in case you wondered, no redevelopment or demolition plans are on file with the city so far, just a permit that would allow work on the 90-year-old cottage’s exterior, studded with rocks its original owners gathered from the nearby beach. The proposed amendment would allow off-site performance if a development to which MHA-R requirements apply is located in a lowrise zone, and the development containing the off-site performance housing a) is located in a lowrise zone, b) provides re-sale restricted, affordable homeownership opportunities for income-eligible buyers, and c) receives no public subsidy. This amendment would add a new section to CB 119444 expressing Council’s intent to take steps, if the imposition of requirements under MHA are determined to be unlawful, to prevent the continuance of the new zoning and increased development capacity in the absence of substantial affordable housing requirements. This amendment would require that at least five percent of revenue from the Mandatory Housing Affordability – Commercial (MHA – C) and Mandatory Housing Affordability – Residential (MHA – R) programs be allocated for capital investment in homeownership projects. Under the current framework cash contributions from the payment option may be used for either rental or ownership housing. However, the framework does not prescribe a minimum allocation for either type of project. 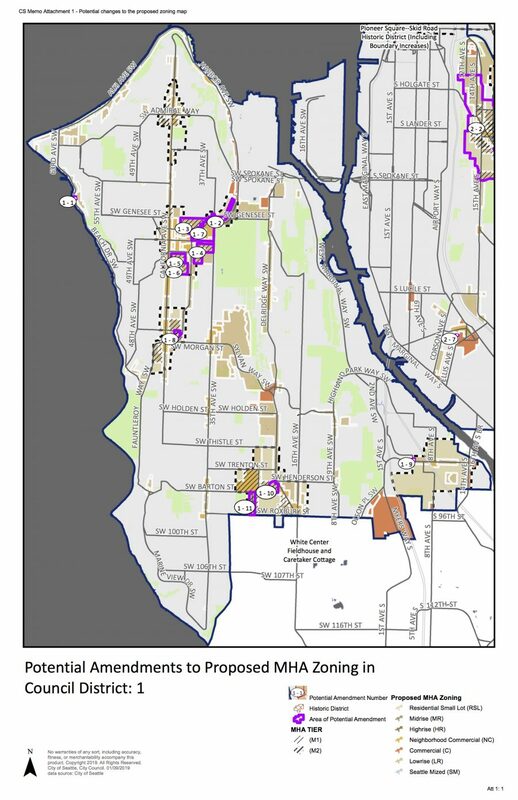 MJ-P23.1 Use community engagement and neighborhood planning tools to identify potential solutions for land use and housing affordability issues when more than 25 percent of the urban village could be affected by proposed zoning changes. Consider community planning to address land use, housing and other issues if the growth rate in the urban village accelerates to become significantly higher than anticipated in the Comprehensive Plan. The documents with full details are linked from Monday’s agenda. Nothing’s final until the full Council vote, currently scheduled during the council’s regular 2 pm meeting on (corrected) March 18 – you can watch this page for the agenda when it gets close. Since 1938, the two northernmost half-block properties fronting Fauntleroy Way, SW Avalon Way, and 36th Avenue SW have been home to the Alki Lumber & Hardware Co., one of Seattle’s few remaining independent lumberyards. 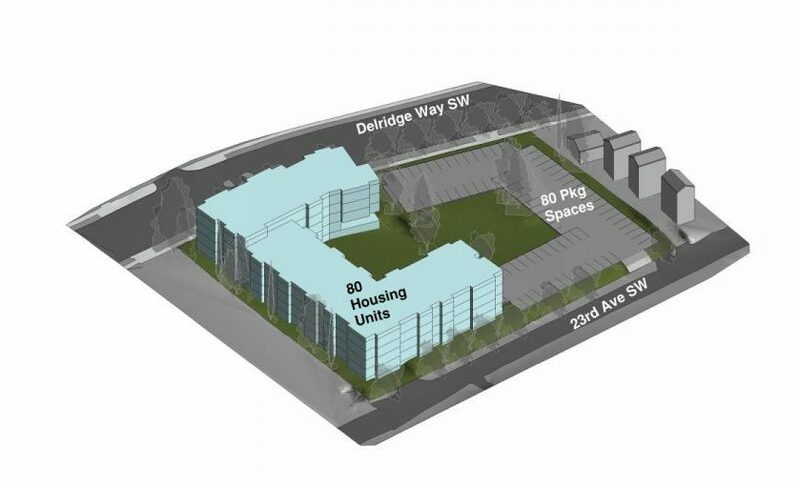 With the exception of the 0.4-acre Dearborn Lumber warehouse site, located on 37th Avenue SW, the remaining three properties are organized along both sides of 36th Avenue SW, creating a North-South spine of potential development running through the center of the Triangle neighborhood. The Owners would like to confirm planning considerations and potential permit paths for the phased, coordinated redevelopment of the two Alki Lumber sites – extending their commitment to the neighborhood for generations to come. In total, these two Project sites are anticipated to include underground parking; approximately 30,000 sf of ground floor retail, market/hardware, and commercial office functions; and approximately 270,000 sf of multifamily residential use. 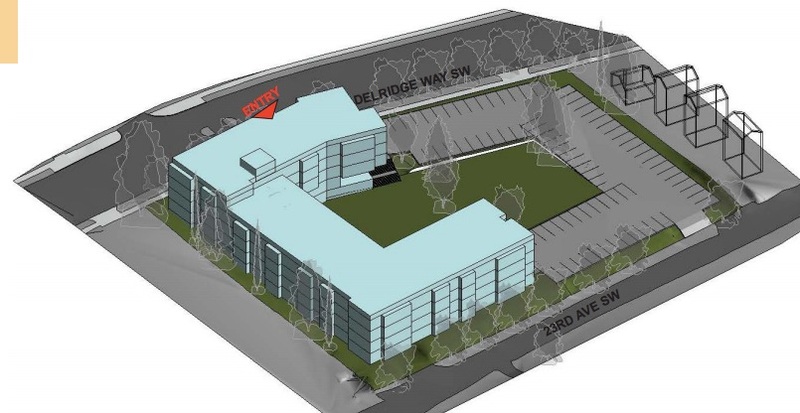 The four-story storage facility planned for an auto-shop site at 9201 Delridge Way SW won Southwest Design Review Board approval last night. It was the project’s second and final review, one year after its first. (See the “design packet” here.) The board approved a zoning exception to allow fewer windows along the 20th SW side. The architects (from Caron Architecture) told the board that they had met recently with community advocate Kim Barnes as well as the Southwest Precinct‘s crime-prevention specialist Jennifer Danner, so the revised proposal incorporates neighborhood suggestions and Crime Prevention Through Environmental Design principles. Traffic and pedestrian-safety issues came up several times, with suggestions including a right-turn-only sign for vehicles leaving the alley, as well as a crosswalk in the area. That’s outside the purview of Design Review but city planners can include it in their review of the project; Barnes noted that it’s being pursued through a city grant fund. Also separate from the design discussion, neighbors still had concerns about the site currently drawing loiterers as well as currently holding an abandoned car and a pile of tires; a city inspector will be called out to check on that. Besides the windows, other conditions of design approval include more-consistent lighting around the building’s perimeter, a barrier and shrubbery to more safely route foot traffic, and followup on how the building’s “green walls” will be irrigated. Tomorrow night, the Southwest Design Review Board takes its next look at 18 rowhouse-style townhouses proposed to replace the vacant strip-mall building at 5242-5248 California SW. The packet for the meeting is available here (57 MB PDF). 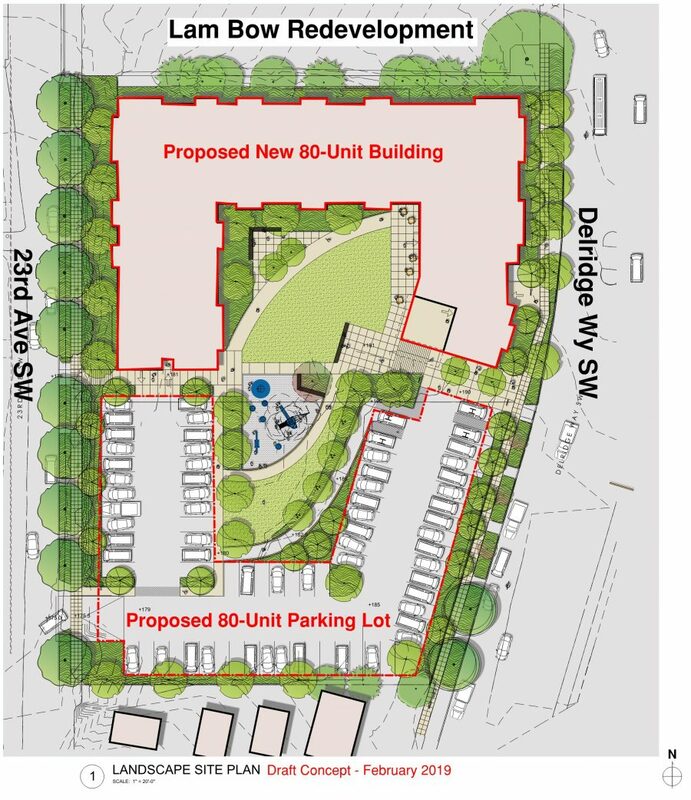 The plan includes one offstreet-parking space for each unit and describes the site as “a mix of street-facing & courtyard townhouses.” The 6:30 pm meeting at the Senior Center/Sisson Building (4217 SW Oregon) will include public comment. The packet explains how the project incorporated feedback from its first review back in November 2017.